It’s all about the chocolate teacake today and not just any old teacake I will have you know but Mcvitie’s Hobnob Teacakes! Hobnobs in teacake form yes siry bob you read that correct. Mcvitie’s have bought out these new milk chocolate teacakes and I for one being a major Hobnob fan, am mighty excited. For an introductory offer of £1.00 in Sainsbury’s that really isn’t bad for 8 chocolatey teacakes. 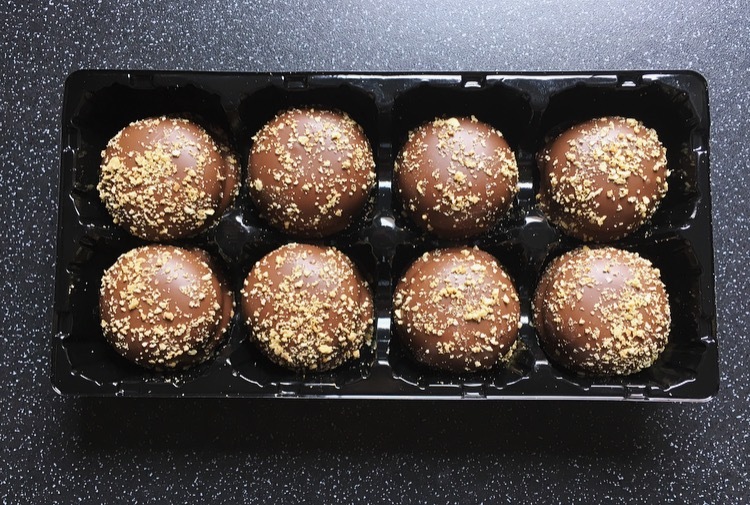 Inside the packet we have the usual black tray saga with the teacakes plopped in each segment. 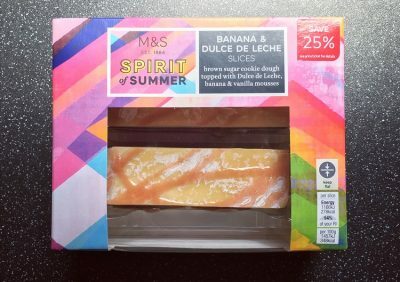 What is a change is the outer packaging is a thicker plastic which benefits of not tearing just by touching it and therefore I was able to slide the tray in and out with no issues, and hopefully it will keep the teacakes that little bit fresher. These do look rather delicious and I love the sprinkled Hobnob pieces on top. 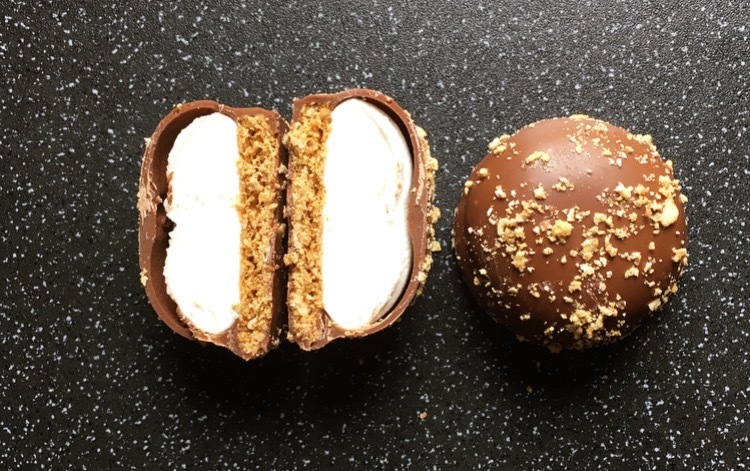 Mcvitie’s haven’t changed the set up of the teacake, we still have the biscuit, marshmallow and chocolate so fear not for those who are traditionalists. 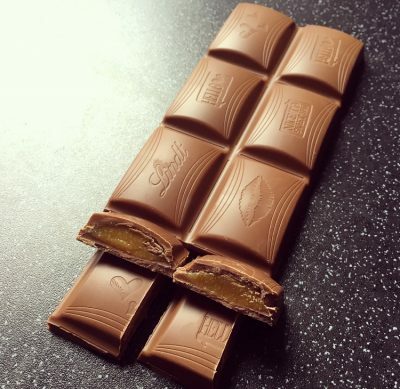 The milk chocolate is incredibly sweet, a bit cheap and isn’t all that, not at all like the chocolate you get on a choclate covered Hobnob. Together with the sweet sticky tasteless marshmallow it makes for a sweetness overload, so in other words giving these to the kiddie winks will result in a bouncing off the wall situation. All isn’t lost, the Hobnob base was oaty, delicious and had a little bite to it, just how a Hobnob should be, and really was the best component here. As a whole these new Mcvitie’s Hobnob Teacakes really aren’t all that. 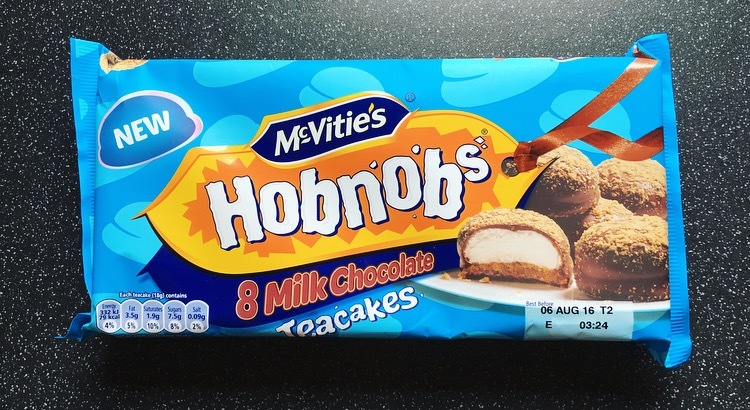 Although I love the addition of a Hobnob base rather than the tradition biscuit base, other than that the other components are far too sweet and doesn’t make for a standout teacake. Such a shame, there really was potential here.